Cait's Cozy Corner : 5 minute DIY Bathroom Organization Tips! 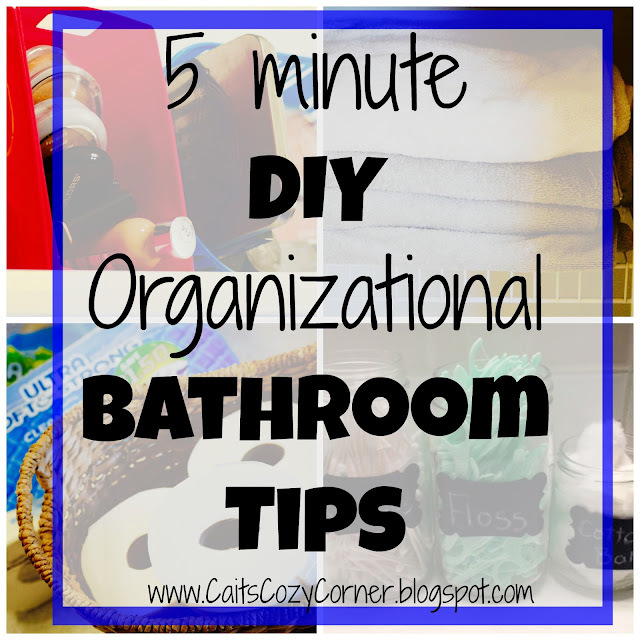 5 minute DIY Bathroom Organization Tips! I wish I had hours upon hours to get my house sparkling clean each week. Between running errands, running to work, running after my toddler/husband/two cats, running to get changed for a girls night out...just running in general there isn't enough time in my day to day routine. Bathrooms also always take me forever to clean and organize because I end up having so many items to get out, take everything off the counters, wipe them down and then put everything back. Who seriously has all that time to get it done and out the door to fun summer activities? Not this girl! Lately I've been in a organizing phase where I just want to make everything as clean and easy as possible for my family to get what we need and keep our day moving. 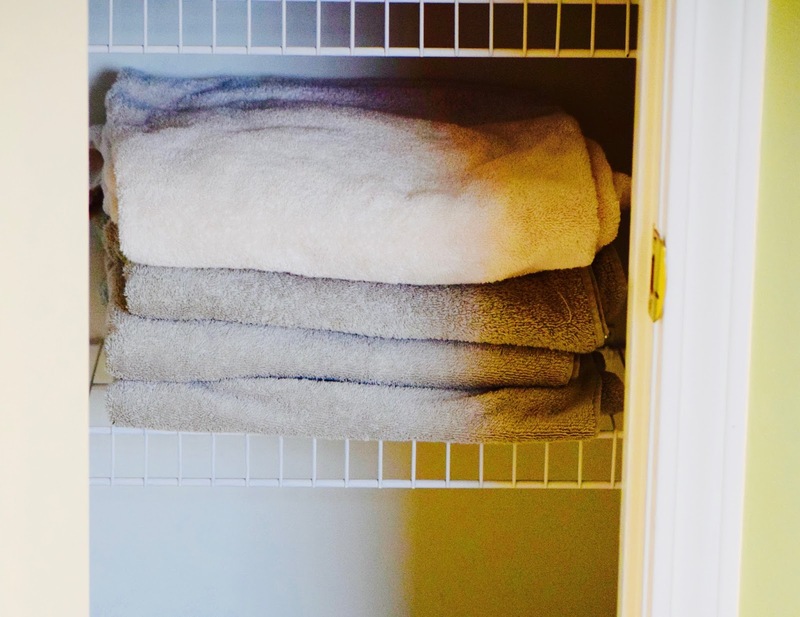 I figured out some pretty quick tips to getting your bathroom organized in about 5 minutes and thought you'd all benefit from them too! 1. 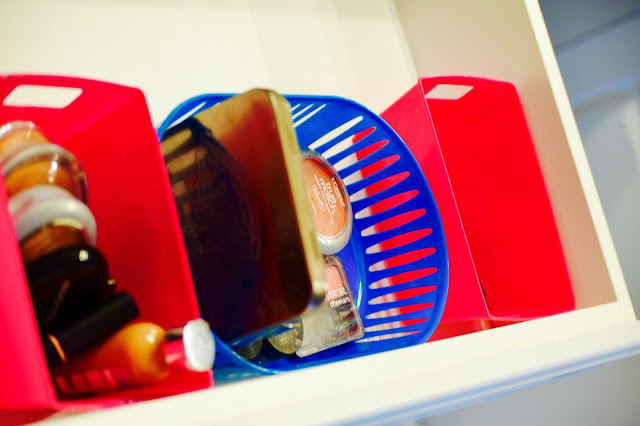 Use small storage bins- I'm a make up hoarder but can never find that perfect shade of pink or foundation I used a few days ago. Now I have everything in small bins labeled by usage like blush, lipstick or foundation! Super simple and easy to grab and go! 2. Store Toilet Paper in Basket- The worst thing in the world is running out of toilet paper and not having any near by! 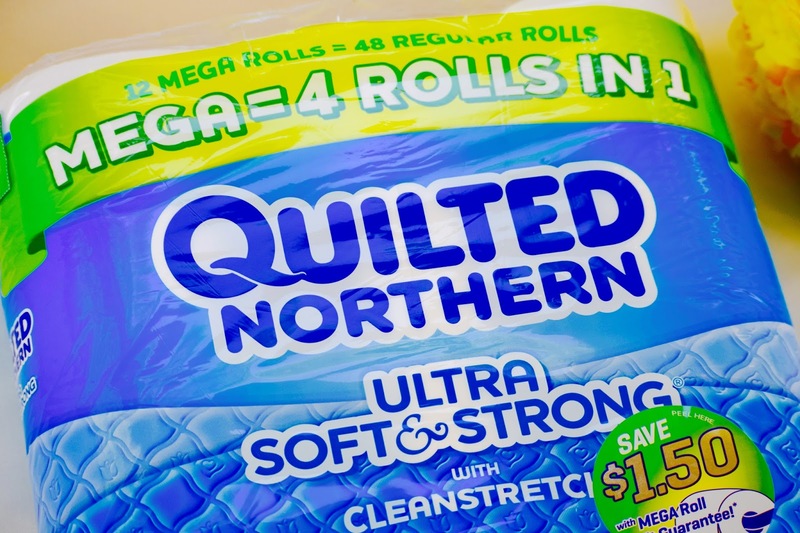 Luckily for me, I stock up on Quilted Northern® Mega Rolls! I usually put about 4-5 mega rolls in a huge basket in my linen closet to grab when we're running low. I love the convenience of having them near by as well as that each roll has about 4x more sheets than the other toilet paper! 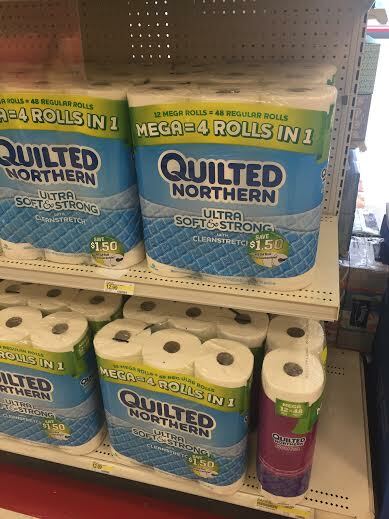 The fact that it is a 4 in 1 mega roll also helps because I don't have to keep refilling the roll for long periods of time, plus being bigger makes it even more comfortable than ever. 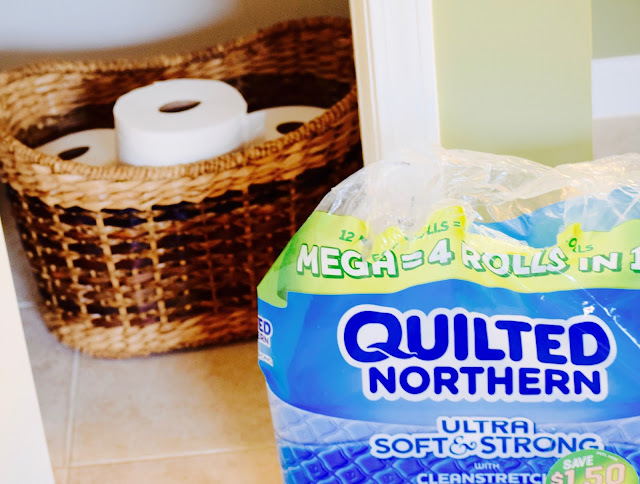 I'm all about long lasting comfort for me, my husband and my potty trained toddler! 3. Fold Towels- I usually throw my towels over a door hanger that we have in our bathroom but for extra's that we use, folding them makes them look so much nice and fresher when they are sitting in my closet. Plus then I know that it's been a week, to throw those used to towels in the wash and grab the fresh ones from my closet! Easy swap out! 4. Grab Clear Glass Jars- I have so many mason jars from when my MIL was finished canning, so I wanted to use them in a fun way in the bathroom. By placing cotton balls, cotton swabs or hand washing soap in each jar, I could see when I needed to grab more if they were running low. I also love how fun and cute they are to add a fun little touch to the bathroom! 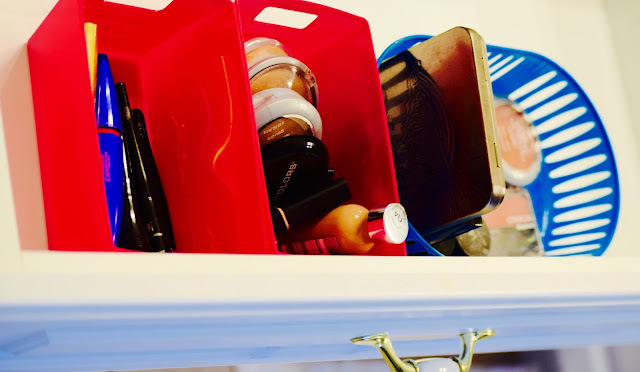 There are always a million other ways to keep your bathroom organized but these tips have really helped when I'm running late to an event, needing to get my daughter ready for school or having your typical Mom brain and forgetting where anything is in my bathroom. When items are labeled and clearly able to be seen, it's easy for everyone to get what they need and get out the door! 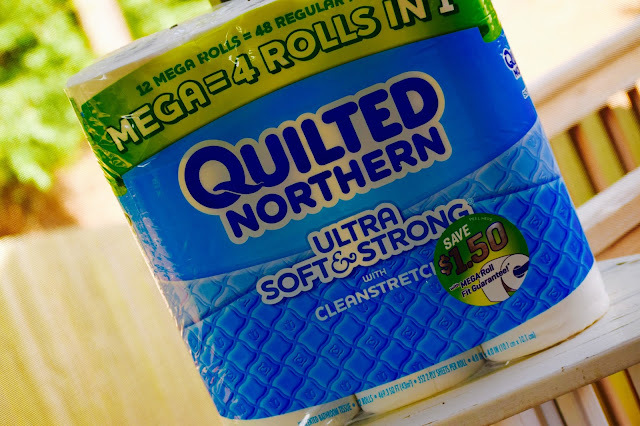 I found Quilted Northern Ultra Soft & Strong® at my local Target ( check out their Cartwheel deal ) when I was shopping last week. 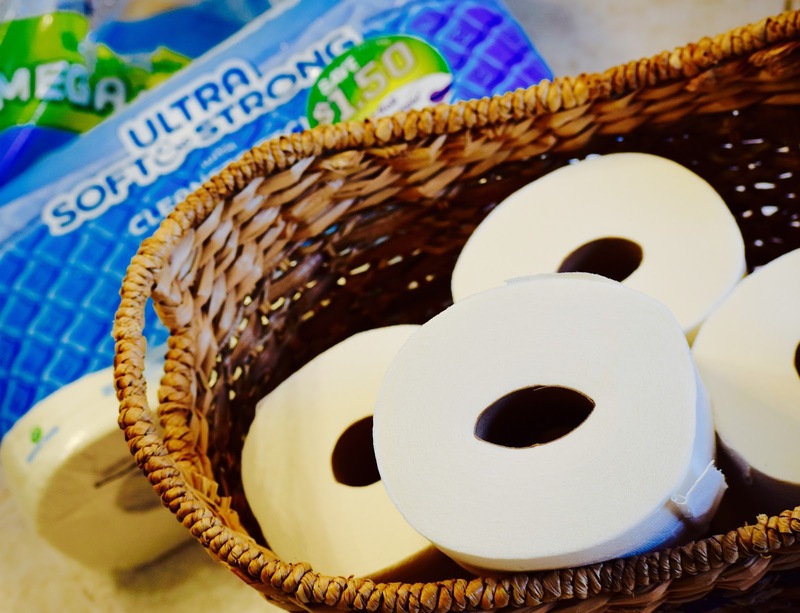 I love the convenience of grabbing everything in one spot so I can keep running errands.Make sure to enter to win a $50 gift card to Target below! 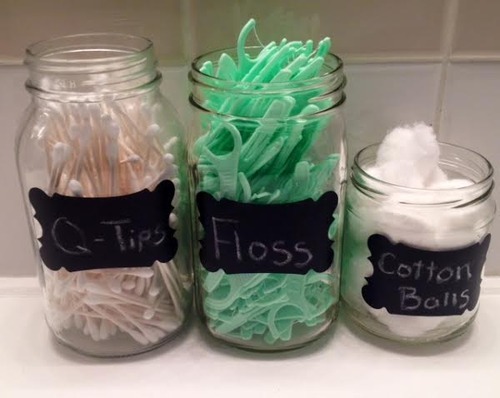 We use baskets and mason jars to hold cotton balls and Q-tips, too. Great tips!